EU nations have refused to back a limited extension of the pesticide glyphosate’s use, threatening withdrawal of Monsanto’s Roundup and other weedkillers from shelves if no decision is reached by the end of the month. Contradictory findings on the carcinogenic risks of the chemical have thrust it into the centre of a dispute among EU and US politicians, regulators and researchers. The EU executive, after failing to win support in two meetings earlier this year for a proposal to renew the licence for glyphosate for up to 15 years, had offered a limited 12 to 18 month extension to allow time for further scientific study. Despite the compromise, the proposal failed to win the qualified majority: seven member states abstained from the vote, 20 backed the proposal and one voted against. Commenting on the decision, the Green’s environment and food safety spokesperson Bart Staes MEP said: “We applaud those EU governments who are refusing to authorise this controversial toxic herbicide. There are clear concerns about the health risks with glyphosate, both as regards it being a carcinogen and an endocrine disruptor. 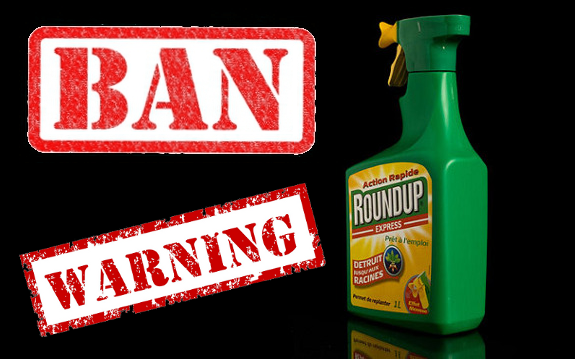 Moreover, glyphosate’s devastating impact on biodiversity should have already led to its ban. Thankfully, the significant public mobilisation and political opposition to re-approving glyphosate has been taken seriously by key EU governments, who have forced the EU commission to back down”.